What is Piranha Plant’s release date in Super Smash Bros. Ultimate? You won’t have to wait much longer. Super Smash Bros. Ultimate arrived on Nintendo Switch a few weeks ago with the biggest roster in the series’ history. With over 60 characters to choose from, you’d think fans would be happy with the choices that they had. Nintendo, however, has other plans and is already working on six new DLC characters to shake up the character select screen over the next two years. The first of these is Piranha Plant, a free DLC character for anyone who buys and registers their copy of Super Smash Bros. Ultimate from now until February. Piranha Plant released on Jan. 30, 2019 out of nowhere. 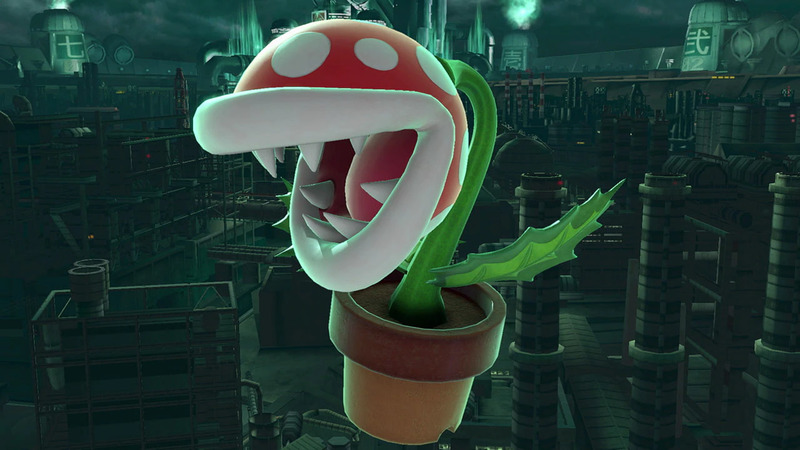 Nintendo had announced previously that the plant was meant to appear “sometime in February” only for the company to release it alongside Ultimate’s 2.0.0 patch. With Piranha Plant out, fans will be waiting to hear more about the next DLC character. The second DLC fighter, of course, is Joker from the Persona series, and he’s expected to be released in 2019.